‘Rewarding reads’ is a new feature on the Cornucopia blog. At the end of each month, we’ll highlight some of our favourite Turkey-related articles and news titbits that we read over the course of the month. In Discover magazine, Jennifer Hattam elucidates the new techniques utilised by archaeologists and researchers at Çatalhöyük in central Turkey to analyse the myriad finds at the site, one of the world’s largest and best-preserved early settlements. For instance, by employing a combination of radiocarbon dating, stratigraphy and Bayesian statistics, a sophisticated mathematical technique, researchers have been able to refine dating of the site. The final data on Çatalhöyük, which is to be published over the next two years, may fundamentally change our understanding of prehistory. James Mellaart, the British archaeologist who discovered and first excavated Çatalhöyük in the 1950s and 60s, recalled the stages of this momentous discovery in Cornucopia 19. 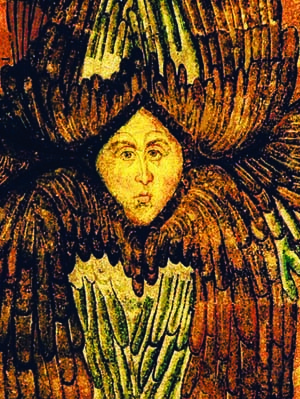 You can also read Christian Tyler’s profile of ‘the man who changed history’ in Cornucopia 35. Mellaart passed away in 2012. Articles in a number of outlets, such as Hyperallergic and Ars Technica, report on one of the most remarkable recent finds at Çatalhöyük: a slightly weathered but fully intact female anthropomorphic figure carved of marble. The artefact is thought to represent an older woman, with her full figure symbolic of great wisdom (it was initially believed that figures of this sort were fertility goddesses and that Çatalhöyük was a matriarchal society, an interpretation that’s largely been dismissed). If you want to see a contemporary take on the statuettes found at Çatalhöyük, visit Rampa Istanbul to see Replaced, on view until November 12. 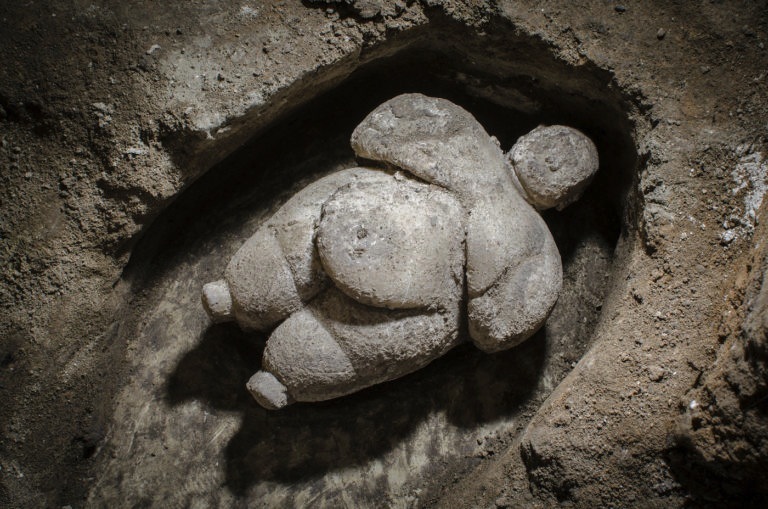 The group exhibition includes a piece by the artist Aslı Çavuşoğlu that takes a female figurine from Çatalhöyük as its subject. Çavuşoğlu presents seven options of what the figurine, which is missing its head and one armrest, may have looked like using other objects found from the region and time period. According to the gallery guide, it is ‘a comment on the common practice of complete archaeological renderings of incompletely found objects’. In Reorient magazine, Ezgi Üstündağ recalls how she fell in love with the ‘just go with it’ approach of Kolektif Istanbul, a six-member band that melds Thracian melodies with jazz and funk sensibilities. It’s difficult to come up with a suitable way to describe the band’s sound, but the label of ‘progressive wedding music’, suggested by a friend of the band, seems to sum it up best. Whether performing at Gezi during the 2013 protests or releasing an upbeat video for their single ‘Acımadı Yine’ (‘It Doesn’t Hurt Any More’) only a week after the failed military coup, Kolektif Istanbul knows how to raise spirits and get the shoulders shimmying. 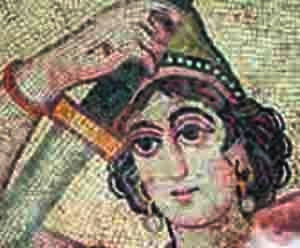 The culinary writer and researcher Aylin Öney Tan draws attention to the resurgence of Thracian wines in one of her columns for Hurriyet Daily News. Known for years as the epicentre of rakı, Tekirdağ has seen a surge in winemaking, as have the neighbouring provinces of Kırklareli, Edirne and Çanakkale. 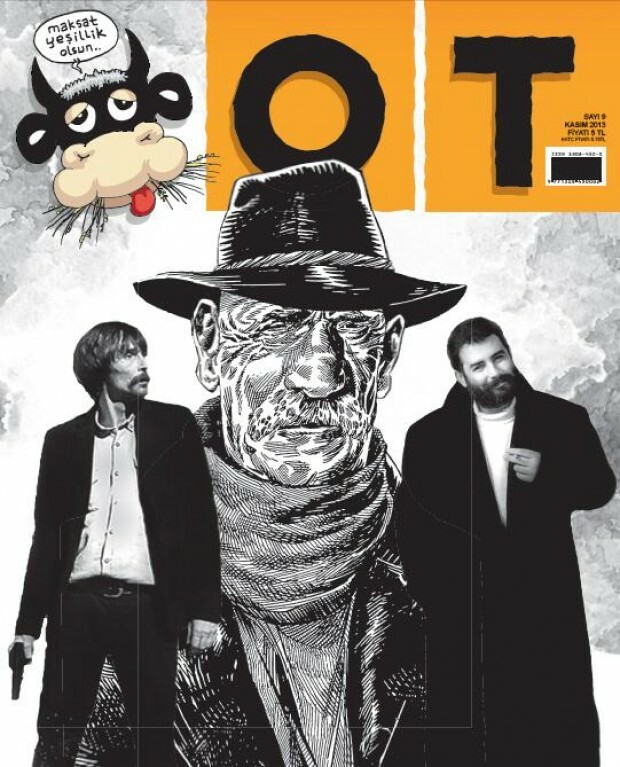 In Al-Monitor, Pınar Tremblay dissects the hybrid literature and art magazines that have been on the rise in Turkey. These newish magazines, almost exclusively available in print and resembling satirical magazines such as Penguin in size and construction, ‘stand as an antidote to the monotony of the mainstream’, touching on topics rarely covered by traditional media outlets. Yikes! Restoration has started at Istanbul’s Topkapı Palace to fix cracks in the basement walls, according to Hurriyet Daily News. Let’s hope that the dreaded Istanbul earthquake holds off for just a little longer yet – authorities say that the building as it currently stands would not survive a 5.0-magnitude quake. 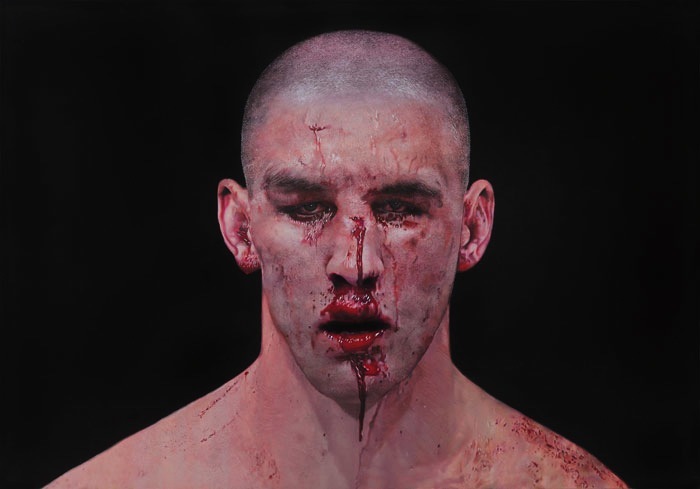 If you ever wanted to know more about Taner Ceylan, the Hyperrealist painter whose work has ‘garnered him international fame and recognition in the art community’, be sure to read Nicole O’Rourke’s profile of him for Sotheby’s blog. Ceylan’s solo show, I Love You, is on view at Sotheby’s S2 Gallery in London until October 28. A massive marble statue of Cybele, the mother goddess of Anatolia, has been unearthed in excavations on the eastern Black Sea coast, writes Daily Sabah. Believed to be 2,100 years old, the sculpture of Cybele sitting on her throne weighs 200 kg and is around 110 cm tall. Oh Tombili, we hardly knew ye. 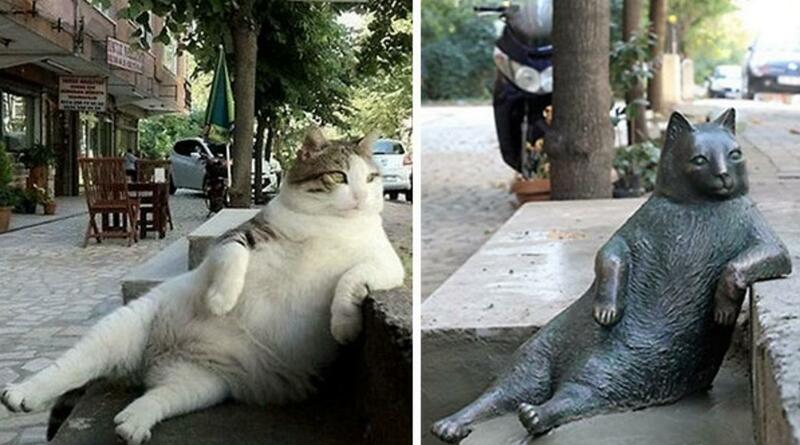 But the chill, portly cat, made famous on social media for her reclining pose on an Istanbul sidewalk, will be memorialised with a statue in the Ziverbey neighbourhood, according to Hurriyet Daily News. Only in Istanbul. Winter opening hours: 9.00–17.00. Closed Tuesdays. Closing time for ticket booths: 16.00. Harem open 09.00–16.00.